Luxurious comfort at the infinity pool. 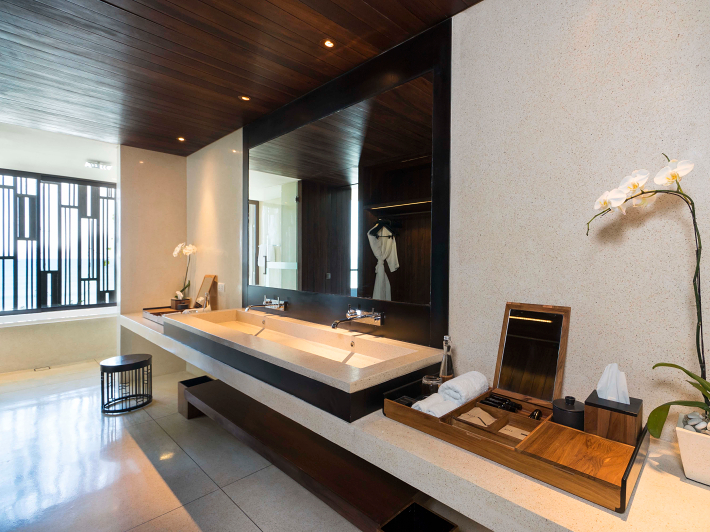 The Alila Seminyak knows how to celebrate water enjoyment. The paradisiacal Alila Resort is located right on the southwest coast of Bali, in the hip Seminyak district. With its vertical gardens and green roofs it combines ultramodern architecture with Balinese touches and tropical flair. It was important to the architects from URBNARC to minimize the ecological footprint and so they made sure environment- and energy-friendly systems were used in the design and construction. They were successful: The hotel has won three international property awards, has been Green Globe Certified with the highest ranking and is currently on the shortlist of the Best Resort Design. 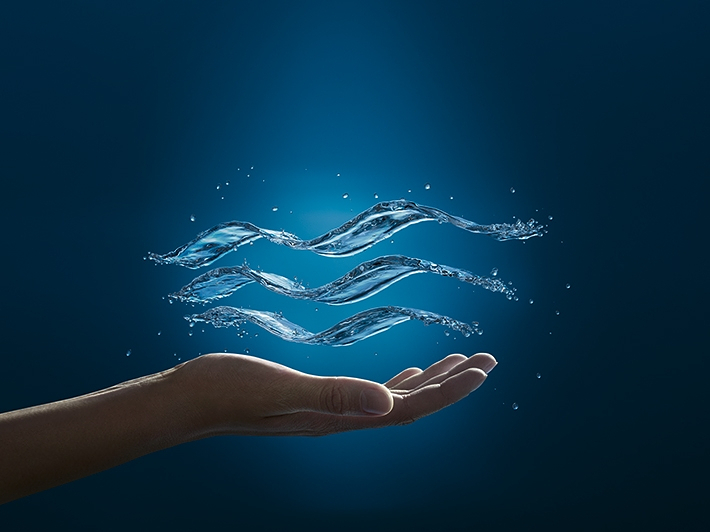 GROHE products in the bathrooms, equipped with technologies that save both water and energy, helped the hotel win the awards. 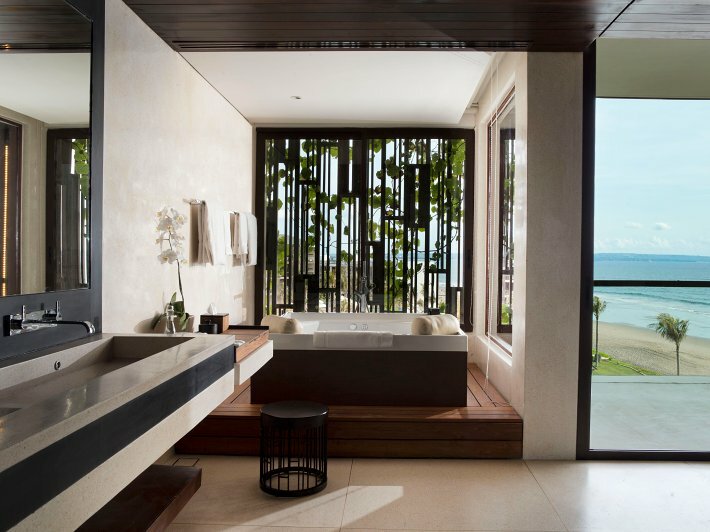 The Allure series in the bathrooms of the Alila Resort promises holistic water enjoyment. Inspired by the vastness of the Indian Ocean, elegant shapes are woven into the architectural design.